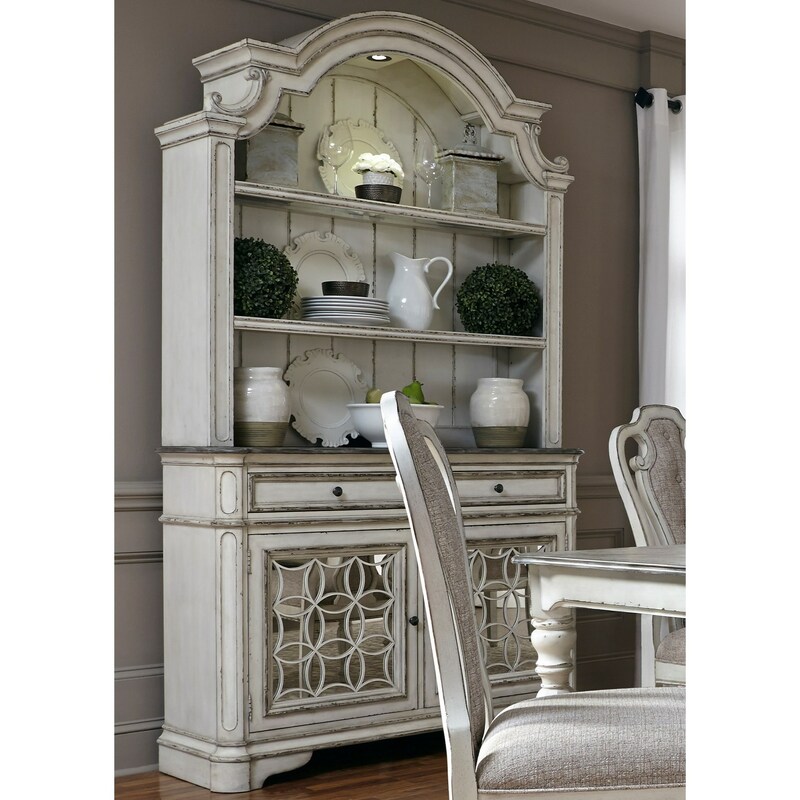 This beautiful buffet and hutch adds an imposing style element to your dining space. Featuring fully-finished, dovetail drawers, the buffet also includes two top felt-lined drawers for extended accommodation. The accompanying hutch showcases traditional accents, two shelves, and features touch lighting to highlight all your beautiful antiques. Completed with an antique white finish, this set will transform your dining setting with vintage style. The Magnolia Manor Dining Dining Buffet and Hutch with Touch Lighting by Liberty Furniture at Miskelly Furniture in the Jackson, Pearl, Madison, Ridgeland, Flowood Mississippi area. Product availability may vary. Contact us for the most current availability on this product.